This is the title of the Pneumofore presentation at the coming Asia CanTech 2014. The event will be hosted in Bangkok and welcomes several can manufacturers and related suppliers. In this difficult area, as tropical climate means high humidity and high temperatures, fortunately Pneumofore counts important references. The successful operation of air compressors and vacuum pumps in Thailand, Malaysia, Vietnam and Indonesia is our base for more installations. Exactly here, where water is precious, a growing number of companies appreciates the air-cooling of pneumatic machinery. Water cooling abolition contributes heavily to the reduction of the TCO, Total Cost of Ownership. Also, the constant performance of the Pneumofore rotary vane technology is an important plus compared to screw machines. Industrial equipment is increasingly designed and produced as disposable commodity. The user buys a cheap machine, but then overspends on everything else. When it breaks, it is thrown away because it was designed to be unfixable within reasonable cost. Pneumofore stands for exactly the opposite approach. Read the full text in our Articles section. 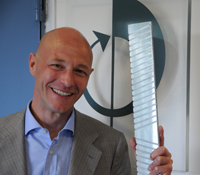 Pneumofore feels comfortable with ‘modern sustainability criteria’ being found more and more frequently in the global hollow glass community. It is proven since decades that the best IS machine performance is achieved with the precise supply of compressed air and vacuum. Actually, these are all forms of pneumatic energy at different absolute pressure levels. 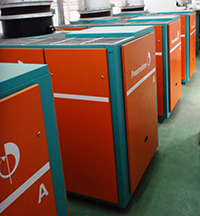 Correct choice of furnace, IS supplier and top quality of raw material is not sufficient. High moulding speed, minimal rejection rate and optimized glass container weight are common targets. With the worlds largest single-stage rotary compressors and pumps up to 300 HP and down to 1 mbar(a), Pneumofore covers all pneumatic requirements of glassworks. Meet us at Glasstec 2014 in Düsseldorf and in Manila for Glasstech Asia, more in our Trade Shows section. Pneumofore proudly participated in Metpack 2014, the triennial world’s leading exhibition for metal packaging in Essen. 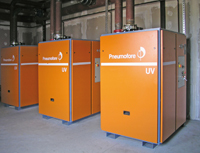 Once again, Pneumofore proved to be the unsurpassed company in terms of vacuum systems supply for the can industry, being the only designer and manufacturer of these systems present at the fair. The constant round-the-clock operation in can plants requires reliable and durable equipment since the production cannot be interrupted just to service a failure in the vacuum system. 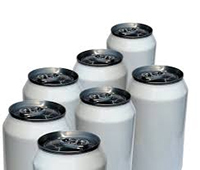 Hence, the target of can makers is to always have sufficient vacuum capacity and level in the production, better with air-cooling. Here is where Pneumofore wins with its experience, collected over decades in hundreds of worldwide plants. Metpack 2014 has represented an incredible occasion for Pneumofore also to show to the visitors the fully automatic Multimaster option for centralized vacuum systems, which allows a perfect distribution of the working loads between the pumps. Our commitment is to provide the best solutions even in very tough climatic conditions, up to 55°C and our victories are achieved with Return of Investment calculations when replacing vacuum pumps and air compressors of other technologies and brands. 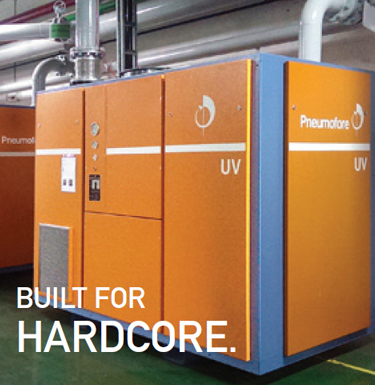 When there is a need of vacuum in the can making field, Pneumofore sets the standard. The shown installation is in Bogor, Indonesia. The Air Compressors mod. A180.10 VS200 are air-cooled with variable speed drive and 200 kW nominal power. The past experience of our customer with competing technologies was tragic. The high values of 85% humidity and 32°C temperature make the compressor efficiency and durability a difficult task. On the A-Series compressors in their HC version, the heavily oversize cooling system allows the long term trouble-free operation, which is mandatory for the continuous running in 2-piece can factories. 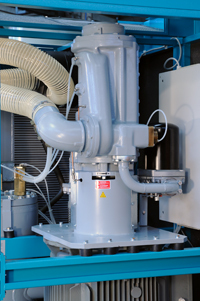 Years of operation confirm the renowned success of Pneumofore rotary vane machines specifically designed to be installed in hot climates. It’s more than 35 years that we produce the rotary vane Air End with vertical design. The one in the picture is the A120 model, the rotor’s mass is 105 kg. What most people do not comprehend is that the hydrostatic pressure is sufficient to maintain a film of lubricant between rotor and lower housing cover. This exclusive feature is achieved by keeping the entire coolant circuit pressurized. The first 12.000 l/min air compressor of this kind was the U12, resulting from intense R&D in the years 1974 to ’76. Depending on the operating pressure and air cooling size (continental or tropical environment) the installed electrical motor is 75 or 90 kW nominal power. The customer is king, thus he deserves to be served well. In terms of hardware, we produce and supply Air Compressors and Vacuum Pumps. These machines are delivered fully tested, so that the customer has a very minimal chance to encounter a problem. Here we speak of quality, which can be measured with warranty costs in relation to the company turnover. In 2012 the warranty cost indicator was 0,73%. Following the closing year 2013, Pneumofore is glad to announce the reduction of the total warranty cost down to 0,61%. 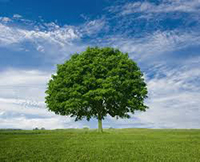 Our aim is to be proud engineers supplying machines with the absolute lowest environmental impact, which fortunately translates into minimal running costs, finally resulting in the most attractive Life Cycle Cost available on the market today. Obviously, we do not match with those who only look at the price tag. One more decade to turn hundred! 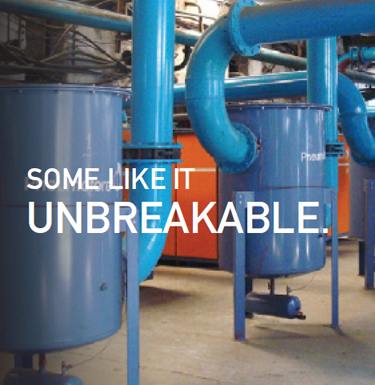 We have just started our last decade to turn Pneumofore 100 Years old. So old yet so dynamic, yes this is Pneumofore. 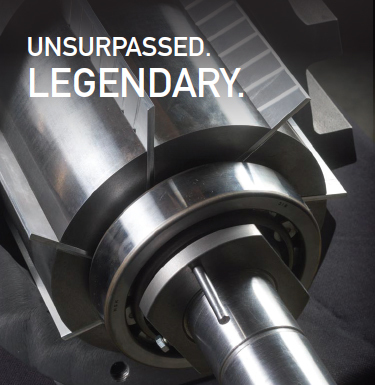 Continuous Research & Development of rotary vane technology results in new machines, which are prototypes now but will soon be the innovative industrial milestone for industrial compressors and vacuum pumps with the lowest Total Cost and the minimal environmental impact. Stay ‘tuned’ with the Pneumofore media channels to get reports on our latest events. The 90th anniversary of Pneumofore was extensively reported on specialized magazines with numerous publications. Family-based mechanical industry rarely has such longevity, as many surprised readers mentioned. Industry specific considerations, mostly presented as interviews to Pneumofore’s CEO, were translated in German, French and Italian. They refer to hollow glass, 2-piece can, food and Swiss heritage. You can download them as .pdf files in our Articles Section. The crucial activity of vacuum enhances the excellence inherent to natural products, for it binds and processes ingredients, as a guarantee of the total quality of the global king of food. … Durum wheat pasta is one of the most well-known Italian products’. Read the entire text composed by Mr. Luciano Mensio in our dedicated Articles section of our website. It reports of important upgrades in worldwide pasta factories using the specially designed Pneumofore UV BP vacuum pump series. Printed on the December – January 2014 issue of TecnAlimentaria. Available in Italian and English.